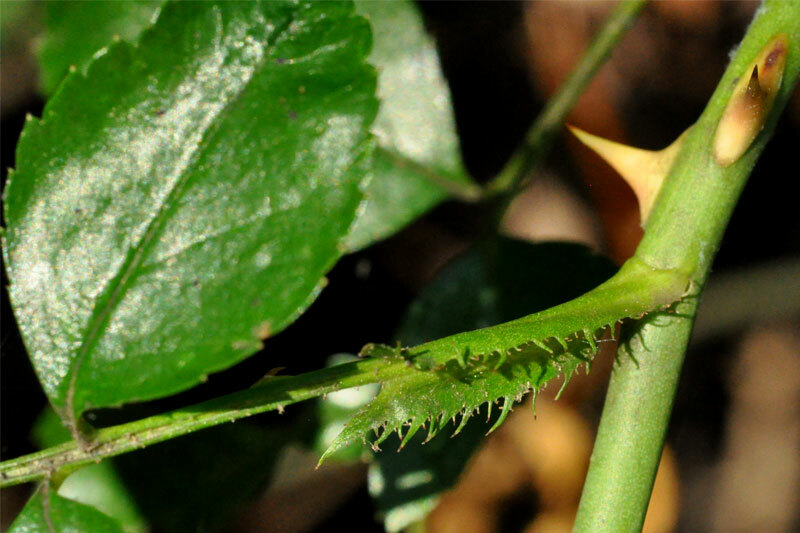 Rosa is a genus of prickly shrubs; stipules large, attached to the leaf stalk. Leaves alternate, pinnately compound, often prickly on veins of back. Rose fruit developing.Frank Vincentz.en.wikipedia.org (Accessed 7/2014). 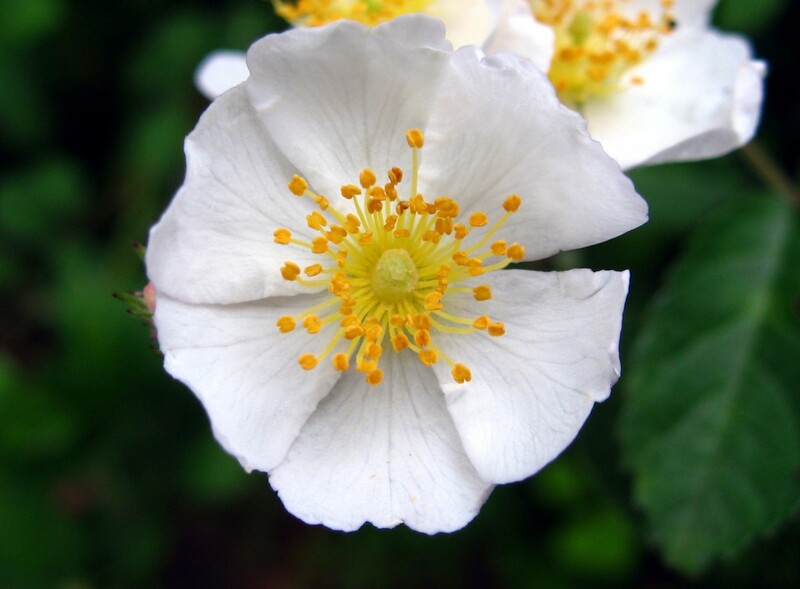 Rosa multiflora.stipule.Copyright David G. Smith.www.discoverlife.org. (Accessed 7/2014). Flowers conspicuous, pink, red, white occasionally yellow. 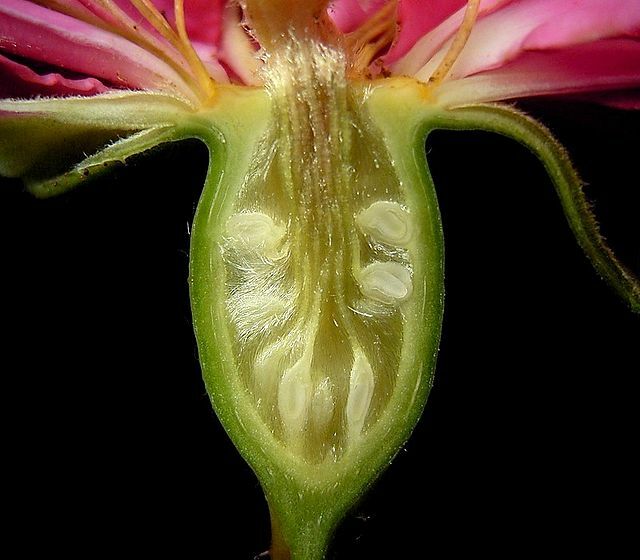 Radially symmetrical, sepals elongate, often persistent; ovary enclosed in a cup-like structure (hypanthium), with a constricted orifice, stamens numerous, longer than orifice of hypanthium, ovaries numerous. Fruit a hard achene, enclosed in the fleshy, usually red, hypanthium (hip). Rosa multiflora.en.wikipedia.org.